The newest iPhones probably won't wow you. At least not until you accidentally drop one in a puddle and watch it effortlessly come back to life. But the iPhone 7 and iPhone 7 Plus are the latest in a line of sturdy little upgrades that improve on the basics. For many iPhone owners, that's more than enough. The question most people have about new, heavily hyped hardware is, should I upgrade? The answer has less to do with Apple's (AAPL) new phone and more to do with your current situation. Apple has made a host of mostly incremental changes to a reliably quality product. Practically every new iPhone is faster with (slightly) better battery life, takes better photos and includes some gimmicky new features that rarely change your life. 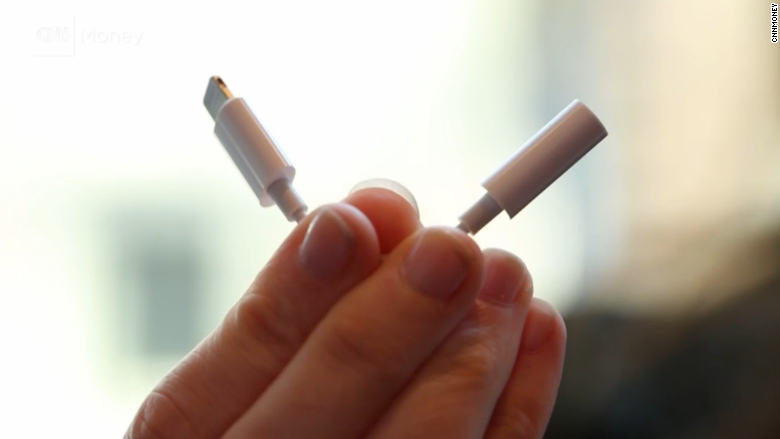 So before talking headphone jacks, let's look inward. To stay minimally current, you'll probably want an iPhone 5 or later so you can run iOS 10 and receive some revamped text messages with stickers, GIFs and doodles. If your phone feels sluggish and apps are slow to launch, jumping ahead will feel refreshing. Are you at particular risk for water damage? Perhaps you live with a child or work on a boat or at a waterpark. If it makes financial sense to sell your old phone and put that money toward an iPhone 7, then go for it. 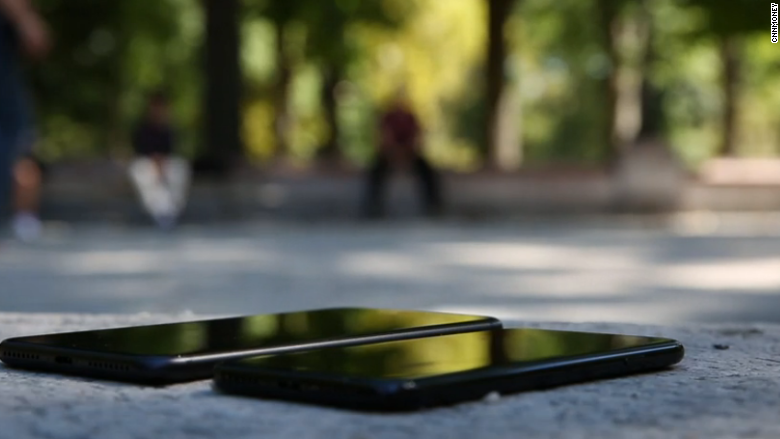 Focusing on improving the camera is always one of Apple's biggest priorities. 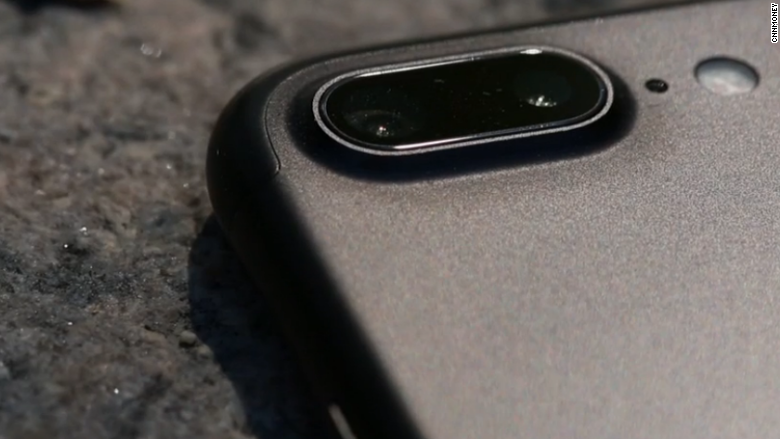 The smaller iPhone 7 has upgraded its regular camera to a 12 megapixel camera. But the big change is on the larger model. There are now two 12 megapixel cameras on the back of the iPhone 7 Plus, and they work as a team to take better photos than previous single-lensed iPhones. One is a wide lens 28mm -- the camera we're used to on the iPhone -- and a new telephoto 56mm lens. They're part of a bundle of camera upgrades that include better sensors and processors, as well as software tweaks. But the end results are better zoom, less noise in low-light shots and a wider range of colors. The telephoto lens has up to 2x optical zoom -- the vastly superior cousin to digital zoom -- without having a bulky lens sticking out. If you tap the 2x zoom button to switch to the 56mm lens, you can capture better portraits with less distortion. Apple is keeping the details around how the dual cameras work purposefully fuzzy -- it doesn't want users worrying too much about the magic sauce. The cameras both fire off at once and photos apparently use some information from each to build a better final image. What exactly it uses and how it changes depends on the image. Earlier this year, I walked in on my toddler repeatedly dunking an iPhone 6S into a glass of water. The phone eventually dried out and came back to life, but the screen was never the same. 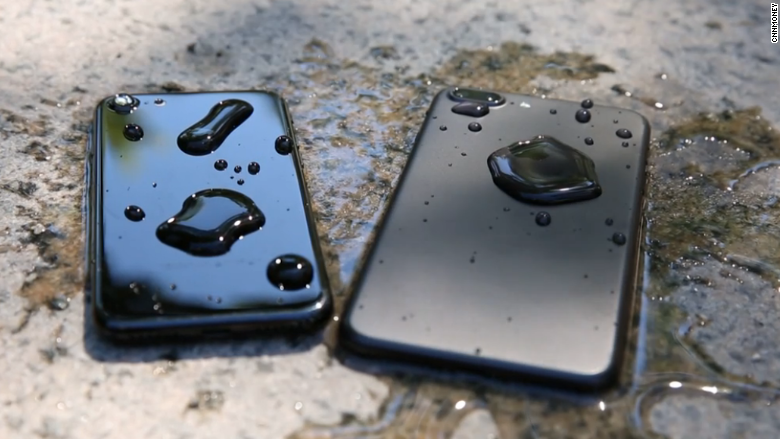 As promised, the iPhone 7 can survive water. To test it, I dunked it in the sink, a bowl and a Finding Dory kiddy pool. I let a hose run over it for a few minutes, too, and spilled (cold) coffee on top. I did not dunk it in the toilet -- a common fate for many phones tumbling out of pockets -- because that is gross. But Apple makes it clear the iPhone 7 is not waterproof, just water resistant. It should be able to survive a dip in up to a meter of water for as long as 30 minutes. This is not a blank check to take underwater selfies — the Apple warranty still won't cover water damage -- but it should prevent a number of early phone deaths and costly replacement phones. 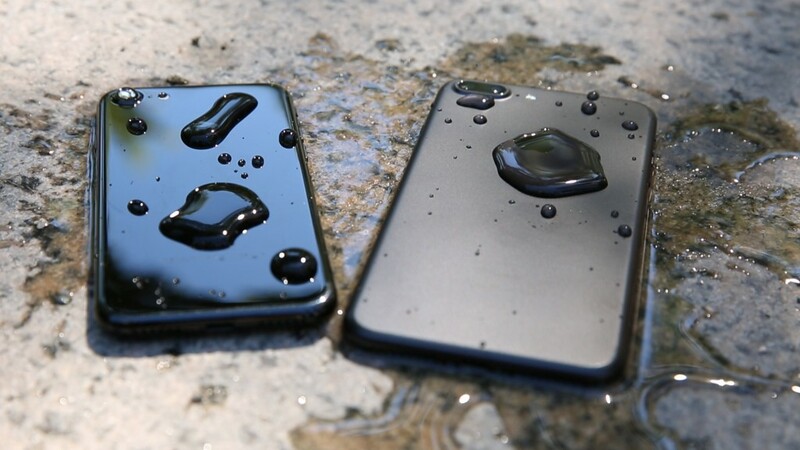 Water resistance is the feature I've longed for the most. It's right up there with a significant improvement in battery life, but actually realistic. I'm giddy about this addition so much that it's almost worth overlooking the two sacrifices that made it possible. People have been outraged over Apple's removal of the headphone jack ever since the new iPhones were announced last week. One reason it got the boot was to help with the waterproofing. Of course, it's also a move toward a more wireless future for Apple devices. Unfortunately, we're going to be stuck in a wired, dongled limbo for a bit. The positive spin is that the iPhone 7 has better speakers, so if you really hate the new headphone set up you can just play your music out loud. However, you'll need an adapter to use your old headphones. Apple includes a small dongle with the purchase of a new iPhone, as well as earbuds that connect to the device via a Lightning cable. The downside, however, is you can't listen to music on new Lightning headphones while charging without using another bulky adapter. Since I've only had the phone for a relatively short amount of time, it wasn't a problem. But eventually, I'll likely lose the Lightning headphones, and almost definitely misplace the tiny adapter. That's when the annoyance will begin. Apple's real interest isn't just moving everyone to a new port. It wants users to switch to wireless headphones, like its own AirPods ($159) due out in October. Apple also owns one of the biggest wireless headphone companies in the world, Beats -- another incentive to get users aboard the wireless train. Now that the headphone jack is gone, feel free to mourn its absence. But don't expect Apple to eventually bring back the port. There's a change to the Home button, too. Sure, it looks like it's still there -- a round dot below the screen -- but it doesn't actually move like a button should. It is an illusion, a fake, and it's strangely annoying. Instead of letting out a satisfying click when you push, it vibrates to let you know it's been triggered. I'm sure I'll eventually get used to it. 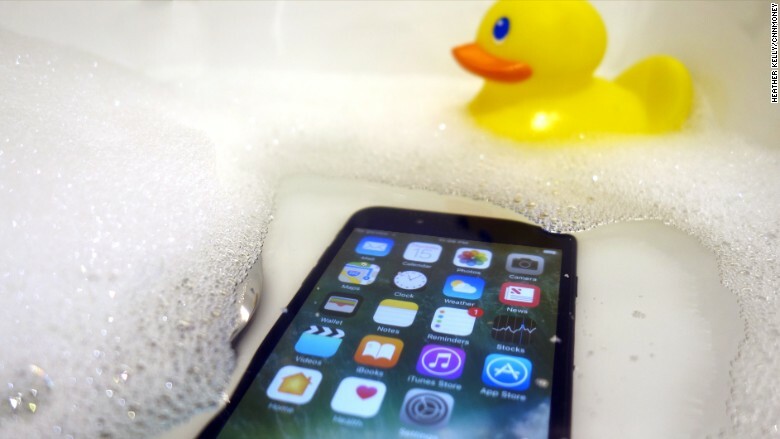 One reason Apple likely made the switch is to eliminate potential cracks where water could seep into the phone. There are even rumors the button could disappear completely in the next iPhone and just be part of the screen. The majority of iPhone owners upgrade every 2 to 3 years. Next year's smartphone is expected to be a bigger deal -- after all, it'll be the 10 year anniversary of the iPhone. If you can put up with your existing phone for a year and promise not to fall in the pool, it's worth waiting. But the most jarring changes are likely to stay, and even more could be ahead. If you can accept all of these realities, the iPhone 7 and 7 Plus are solid upgrades in Apple's long line of product updates.